Crystal Palace have deployed a scout to monitor the progress of French forward Florian Ayé. The striker, who plays for French Ligue 2 side Clermont, has been in sensational form this season for his club and has bagged 17 goals for his team. Sky Sports pundit Paul Merson has said that Manchester United could suffer their first league defeat of the year when they face Crystal Palace on the road on Wednesday night. Crystal Palace have let winger Jason Puncheon leave the club on a temporary basis to join relegation strugglers Huddersfield Town. The 32-year-old attacker, who has been deemed surplus to requirements by manager Roy Hodgson, had been linked with multiple clubs including a move abroad. Victor Moses close to Chelsea exit? Victor Moses is reportedly edging closer to leaving Chelsea with Crystal Palace leading the race to pursue him in a deal worth £12m. Roy Hodgson has revealed that he hopes to make a move for Ruben Loftus-Cheek in the January transfer window. The Chelsea midfielder has struggled for first-team football since returning to the Blues from a loan spell at Crystal Palace last season, despite being a part of England's World Cup squad. Galatasaray are planning a January transfer window move for Crystal Palace's unwanted midfielder Jairo Riedewald, with rumours that the Turkish club will pay a reported £5.5 million to sign the Dutchman. It is understood that Turkish side Besiktas are also in the race to side Riedewald, but it is Galatasaray who are in the lead to snap up the player. Crystal Palace boss Roy Hodgson has said that winger Wilfried Zaha has not indicated that he wants to leave the club. Crystal Palace have been installed as the new favourites to sign England international midfielder Jack Wilshere. The long-serving Gunners' player looks likely to leave Arsenal on a free transfer this summer, having yet to successfully agree a new contract with Unai Emery's side so far this summer. Ivory Coast international Wilfried Zaha has stressed that he has no plans of leaving Crystal Palace during this summer's transfer window. The former Manchester United man has regularly been linked with a possible exit amid alleged interest from the likes of Manchester City and Tottenham Hotspur. Crystal Palace winger Wilfried Zaha is the subject of fierce interest from numerous clubs and there remains some uncertainty regarding his future. 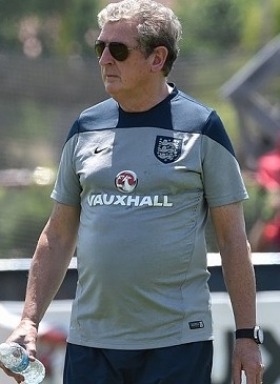 Palace boss Roy Hodgson hopes to keep the England international. Manchester City manager Pep Guardiola could reportedly lodge an attempt to sign former Manchester United winger Wilfried Zaha. The Ivory Coast international has been in top form for Crystal Palace this campaign with his showing proving key towards the Eagles' fight against relegation. Everton forward Ademola Lookman is wanted by Crystal Palace at the end of the season. Should the striker decide to leave the Toffees, he is said to be open to a move abroad, where the player is currently playing on loan for Bundesliga side RB Leipzig. Roy Hodgson is set to bring in Getafe goalkeeper Vicente Guaita as his first signing since taking over the Eagles. The shot stopper will arrive at the club in a £4 million deal next week and will be immediately assigned first-team duties. Crystal Palace manager Roy Hodgson has ruled out a January transfer exit for winger Wilfried Zaha. The England international has been the subject of transfer speculation, with links to both Tottenham and Chelsea. After much speculation, Arsene Wenger and Arsenal chiefs are preparing to enter contract talks with a key midfielder who's future at the club has become very unclear in recent months.